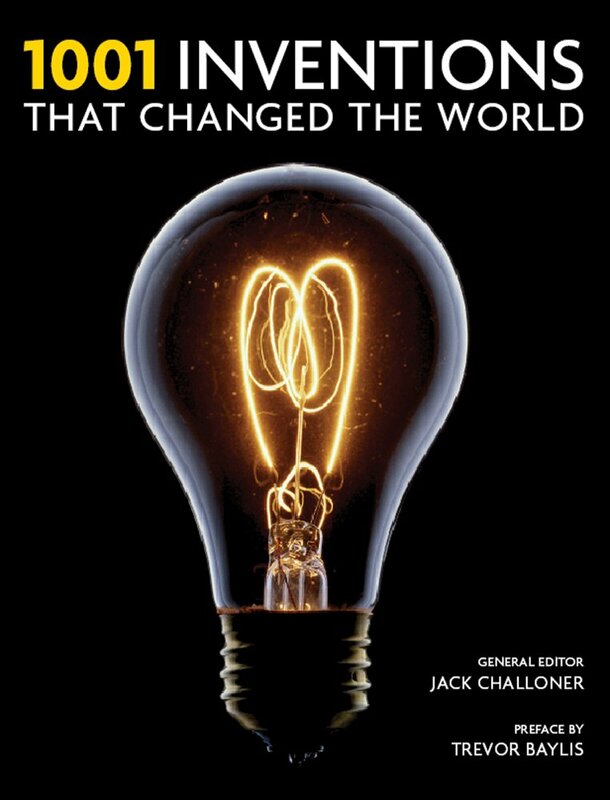 A list of famous inventions that helped change the world. Note. Many inventions are often progressive developments, with no one person fully responsible. In many cases, it is hard to pin-point the exact date and person responsible for the invention. Sometimes many people are involved, with a basic model being improved on and turned into workable models. Aluminium (1880s) Aluminium is one of the most abundant metals. But, it was only in the 1880s that production processes were invented which enabled aluminium to be produced cheaply. Carl Wilhelm Siemens (US) developed a smelter to produce Aluminium from Bauxite ore in 1886. Aluminium is used extensively in building and aeroplane manufacture. Aeroplane/aviation (1903) The first powered, heavier than air flight was undertaken by Orville Wright on December 17, 1903. The first aeroplane was made of wood. By 1909, they made a demonstration of flight around the Hudson River in New York. Aeroplane technology rapidly improved, and they were used for military means in the First World War. Antiseptics (1850) Dr Semmelweis a Hungarian physician was the first prominent doctor to make a strong link between the use of antiseptics and improving survival rates of women giving birth. His work was taken up by others, such as Joseph Lister who became a pioneer of antiseptic surgery. Archimedes Screw (3rd Century BC). Invented by Archimedes of Syracuse, this innovative design enabled water to be pulled uphill against gravity. Atomic Bomb (1939-1945) Between this period a team of scientists developed the first atomic bomb as part of the Manhattan project. Chief of the project was Robert Oppenheimer. Albert Einstein’s letter in 1939 warning that the Nazi’s were developing a bomb was important in creating an impetus for the project. Ballpoint pen (1938) László Bíró, a Hungarian newspaper editor, developed a more suitable ink and ball socket mechanism to prevent ink drying. He filed his first patent in 1938 for a ballpoint pen in Argentina. After the war, varieties of the ballpoint pen became commercially successful. Barbed wire (1867) The first patent for barbed wire was awarded to Lucien B. Smith. Barbed wire became a very cheap way of creating an effective barrier. Initially used in agriculture to keep animals in certain areas. It became widely used for military purposes. Battery (1800) Voltaic Pile. Alessandro Volta an Italian physicist developed the first battery which gave a steady current using alternating layers of copper and zinc. Lew Urry developed the small alkaline battery in 1949. Bicycle (1839) Kirkpatrick MacMillan, a Scottish blacksmith, is said to have developed the first two wheeled pedal powered bicycle. In the 1860s, the Michaux or ‘boneshaker’ improved on this design and started a boom in bicycle use. Camera (1839) Louis Daguerre, a French innovator, spent many years developing the process of photography. In 1839, he made the first camera which enabled a permanent photograph to be taken. In 1889, George Eastman invented the flexible role of film which enabled photography to be much more practical. Computer (1940-45) Charles Babbage was considered the father of computers for his work on mechanical computation devices. But it was only in the 1940s that the first electronic computers were produced. For example, Howard Aiken & Grace Hopper developed the Harvard Mark I computer in 1944. Cat eyes (1934) Developed by Percy Shaw of Halifax, England. Shaw’s design using a reflective lens embedded in the road; it enabled motorists to have better visibility when driving during the night. Clocks (1656) Christian Huygens developed the pendulum which made primitive clocks more accurate. Concrete (1824) English inventor, Joseph Aspdin developed hydraulic cement, which used a mix of limestone, clay and aggregate. Electricity (1832) Michael Faraday (England) and Joseph Henry (US) both built models of electricity generators. Nikola Tesla developed the first AC electricity generator in 1892. Email (1971) Ray Tomlinson (US) developed the first electronic communication message. The email was sent between two computers on the same network. Fibre Optics (1958) Modern fibre optics using high purity SiO2 (rather than copper wire) was developed by Sam DiVita (US) and Richard Sturzebecher (US). This enabled much more efficient communication. Film (1895) Frenchman Louis Lumiere developed one of the first moving film recorders, which they called Cinematographe. Guns (1718) The first gun prototypes using gunpowder to launch missiles were developed in the Tenth-Century by the Chinese. The first rifle ‘Puckle Gun’ was developed in 1718 and the first revolver ‘The Colt’ in 1836. The first machine gun in 1884 by Sir Hiram Maxim. Internet (1982) The first internet protocol was established in 1982. In 1985, the first dot-com domain was registered. In 1990, Tim Berners-Lee developed the World Wide Web the first internet web browser. Matches (1826) John Walker (English) developed the first friction match which could be lit by striking sandpaper. The first safety match originated in 1844 created by a Swede Gustaf Erik Pasch. Paper (105) Tsai Lun – Lun was an official in the Chinese civil service. He reported and developed its use in recording the business of the Chinese state. Motor car (1886) Carl Benz (Germany) is credited with the first patent for the modern motor car with a petrol combustion engine. Many similar designs were developed around the same time. Pasteurisation (1768) Invented by Italian Lazzaro Spallanzani in 1768 – it is a process of killing bacteria in food. Louis Pasteur (1864) developed a more modern form of pasteurisation which helped make milk and wine safer to drink. Penicillin (1928) Discovered by Alexander Fleming (Scotland) who found the growth of penicillin on a jar of mould left overnight. Penicillin was later mass produced by Howard Florey (Aus) and a team of scientists enabling it to be used during the Second World War. Petrol (1859) Edwin Drake (US) Modern drilling and refinement of oil into petrol began around the middle of the Nineteenth Century. It enabled petrol to be used as a fuel in the internal combustion engine. Plastic (1862) Alexander Parkes (England) Parkes demonstrated a plastic which was made from heated cellulose and moulded into a shape. Other important developments include 1908 – Cellophane – Jacques E. Brandenberger. Printing Press (1450) The first printing press was designed by Johannes Gutenberg in Germany. The printing press played a key role in the Protestant Reformation – as pamphlets and books were mass produced for the first time, helping to spread new ideas more quickly. Radio (1895) G. Marconi (Italy) sent and received the first radio waves in 1895. Nikola Tesla took out the first patent for radio using his Tesla’s coil. Refrigerators (1748) -William Cullen (Scotland) Cullen displayed the first successful refrigeration at the University of Glasgow. Fridges use rapid cooling of gases as the main source of their artificial cooling effect. In 1805 Oliver Evans (US) invented the first refrigerator machine. 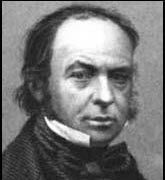 Stamps (1837) Rowland Hill proposed the first stamp as a way to offer cheap postal delivery. His proposals led to a universal postage system and the introduction of the first stamp – The Penny Black. Telegraph (1835) Samuel Morse (a professor of arts and design at New York University) effectively demonstrated that signals could be transmitted by wire using pulses of current deflected by electro-magnet. The Telegraph enabled long-distance communication, including transatlantic signals. Telephone (1880s) Graham Alexander Bell (Scotland) Antonio Meucci. (US) Both inventors have a claim for inventing the telephone – enabling the ability to speak to someone at a significant distance. Television (1925) Many people contributed to the development of the TV. But, John Logie Baird is credited with displaying one of the first moving images on a TV screen. Logie made use of a Nipkow disc and a Cathode Ray Tube. Tyres (1890) The pneumatic tyre was developed by John Boyd Dunlop in the 1880s. This helped to revolutionise transport – especially for the bicycle and motor car. The pneumatic tyre had an inner tube of air to help give a more comfortable ride than the solid tyres. Water Wheel (4000 BC) The water wheel was one of the first human inventions to capture mechanical energy and was used to help grind corn. In modern times, the water wheel was improved to drive an hydraulic turbine. The wheel (4th millennium BC) The wheel is perhaps the oldest invention, and no-one is exactly certain when it was invented, but it emerged in different regions independently. It enabled quicker transportation by chariots and pack drawn animal carriages. X-Rays (1903) The use of X-Rays were pioneered by William Coolidge who invented the Coolidge tube. Marie Curie’s work on radiology enabled a big advance in X-ray technology and it was used in the First World War. Citation: Pettinger, Tejvan. “Famous inventions”, Oxford, UK. www.biographyonline.net 23rd April 2013. Updated 3rd March 2018. Famous Inventors – Famous inventors including Cai Lun, Leonardo da Vinci, Galileo, Sir Isaac Newton, James Watt and Samuel Morse. Books that changed the world. Important books which influenced and change society and the world. Including The Republic, The Iliad, The Communist Manifesto and The King James Bible. Quotes that changed the world – Inspiring quotes that changed the world from some of the world’s leading minds – including Einstein, Buddha, Darwin, and Galileo. Famous Scientists – Famous scientists from Aristotle and Archimedes to Albert Einstein and Charles Darwin. People of the Industrial Revolution (1750s – 1900) The great inventors, entrepreneurs and businessmen of the industrial revolution. Also the social activists of the era.